Did you Know you can Collaboratively Use an Online Whiteboard, and Even Markup Web Pages and Docs, for Free (and Fast)?! … and you'll land on a White Board page that you can invite people to with ease, and you can use the Drawing, Shape, and Text tools to just draw and create, or you can import and mark up web pages or documents! To invite others to participate, use the Invite function to email them, or just give them the simple URL. It really couldn't be much easier. So, what we're showing above is free! Of course, there are plenty of limitations (you have to pay for richer capabilities). While you can't save your results with the free version, you certainly do a print screen or use the Snipping Tool to capture results. Full plans and more functionality start at $14/month. Click here to check out the full pricing plan and features grid. To learn about some more online IWBs, check out “6 Free Online Collaborative Interactive White Boards“. Be forewarned though, as I've noticed that some of these have turned into fully priced models since this was written a couple years back. It would appear that the free online IWB may be becoming a rarer species. Do you know some good free, easy to use Interactive White Boards? Please comment and tell us about it! 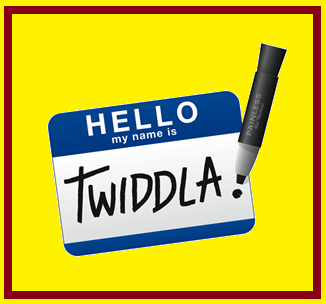 Oh, and one last thing … Twiddla is our Week 5 web app in the Tool in the Try-a-Tool-a-Week Challenge! Are you on board? 600 educators have signed up so far and they're enjoying learning about a new free tool (most are 100% free) every week through March, April, and May! If you comment frequently on the new tools you try, you can win one of the great give-aways we'll award to randomly selected participants when the challenge wraps at the end of May. We're giving away an annual MobyMax license an annual Gynzy license, a copy of the Flipped Classroom Workshop-in-a-Book, and a free enrollment in our Summer 4 Week Online Flipped Classroom Workshop (or the Fall workshop if you would prefer). Come have some fun, learn, and take a chance at winning! 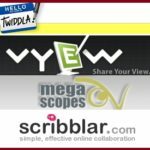 Are ePortfolios Still Relevant for Today's Students? I think my students would love using this program.